Trinamool will play a role in the formation of government at Centre, said the West Bengal chief minister Mamata Banerjee. 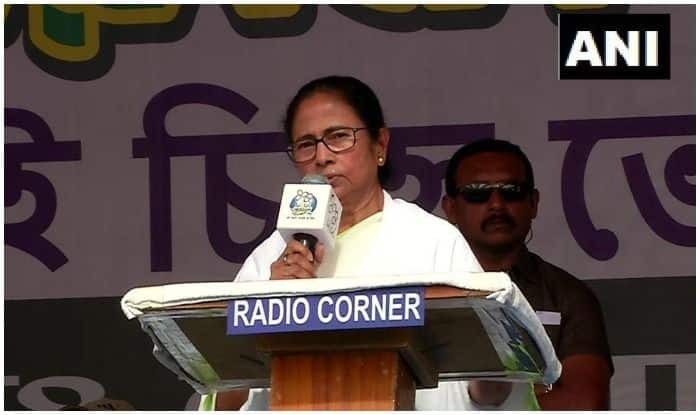 Siliguri: West Bengal Chief Minister Mamata Banerjee while addressing a rally in Siliguri urged the people to neither vote for Communist Party of India (Marxist) nor for Congress as ‘it would go in waste’. Citing her own example, Banerjee said that she herself quit Congress and formed Trinamool and the development being witnessed by the people is all because of that. “Do not waste your vote. Wherever regional parties are contesting, they must be strengthened. Trinamool will play a role in the formation of government at Centre”, the West Bengal CM reiterated. Emphasising that the regional parties will play an important role, Banerjee predicted that CPI (M) will not win anywhere except in Kerala. She added that Congress will also not be able to form a government on its own. She went on to congratulate the young generation and spoke about ‘Utkarsh Bangla’ scheme which has been declared the best project out of 1,600 projects from across the world. Under Utkarsh Bangla scheme, skill training will be provided to 6 lakh youth every year. After the training, they’d be placed. Calling the Utkarsh Bangla scheme a success, Banerjee talked about how her party reduced unemployment by 4 per cent from last year.